Back in the late ‘70s/early ‘80s, Quaker State Motor Oil was riding high. It was the number one brand of motor oil, based more on tradition than anything else. If your dad changed his oil every 3,000 miles and used the Quaker State Brand, it was just about written in stone that you would, too. Lurking in the shadows was a little known brand of motor oil with a cult following called Castrol. Castrol had a .05% share of market and was sold only in specialty stores. It was known as British Racing oil. And if you had a BMW (which made you quite the quirky one in those days!) you went to great lengths to find a “can” of Castrol. The Castrol folks approached Bill and his team with the dream of breaking through the iron-clad barrier of father/son loyalty. The first thing we did was travel to Kansas to talk to real staunch DIY’ers (Do-It- Yourselfers). After many different stops and starts the “Rosetta Stone” appeared: Take Castrol out of the Automotive Aftermarket business and put them in the Automotive Investment business. You see, it was right around that time that we had a huge gas crisis in America and vehicles were downsizing from 8-cylinder Crown Victorias to 4-cylinder Chevy Vegas. 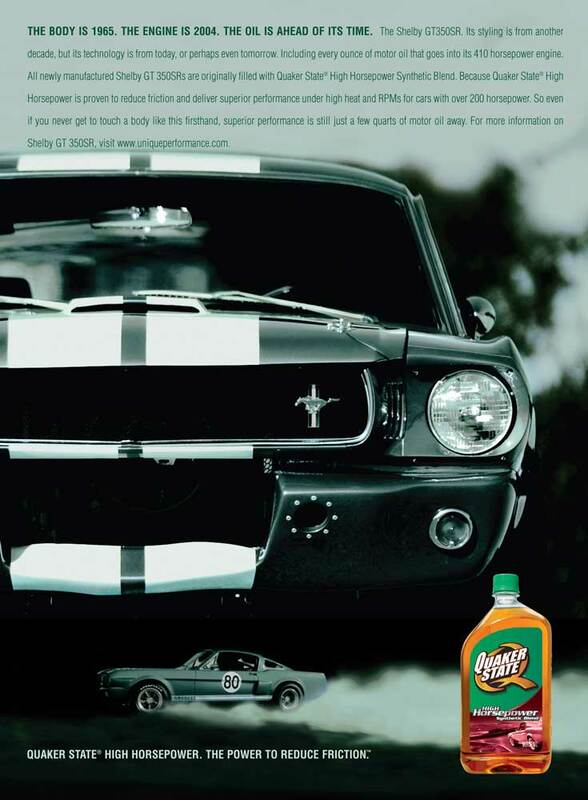 With that revelation in mind, we took Castrol out of the motor oil business and broke that cycle of tradition. It became “The motor oil engineered for smaller engines.” Dad could not help junior with this one, since he never owned a Vega. In the course of approximately five years Castrol grew to the number one position in the category it was not competing in. In fact, Quaker State actually took Castrol to court attempting to stop the rapid rise. Didn’t work. But there was hope. Fast forward to the early 1990s. 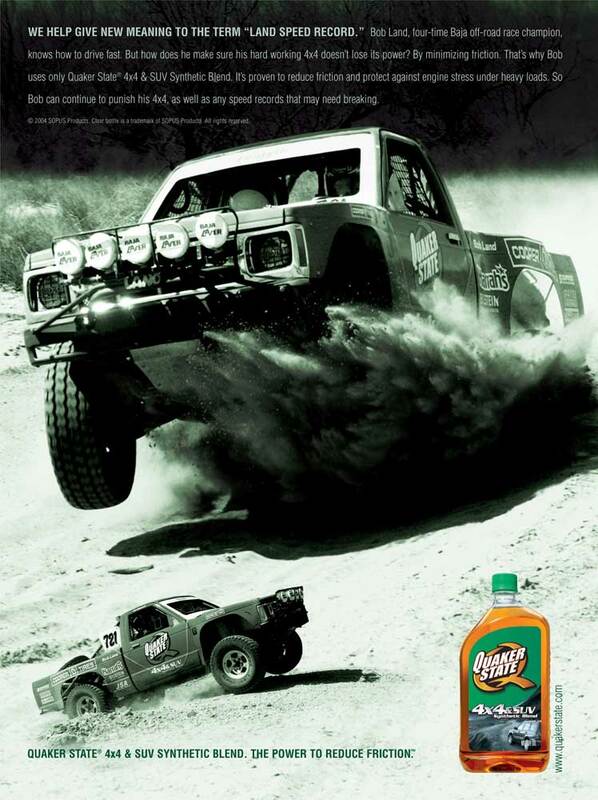 Castrol was now firmly entrenched as the number one DIY motor oil. Competitors in the industry were making claims that sounded more like they were creating the “disease du jour” for that era’s automobiles. And following a decade of especially limited product innovation or differentiation, motor oil had become a low interest but crowded category led by the biggest spending competitors, and retailers began relegating the category to “loss leader” status. Quaker State was struggling and Herb Baum was hired as the CEO to change the course of the company. Bill Tucker offered up his expertise to see if, along with his team, he could help Herb turn the brand around. After all, the consumer was changing. Dual incomes, the desire for more free time and the resulting explosion of 10-minute jiffy lubes had stripped away much of Quaker State's traditional DIY market. Technology advances in the automotive industry meant that car engines were increasingly trouble-free. All this was changing, and yet the motor oil industry remained stagnant. 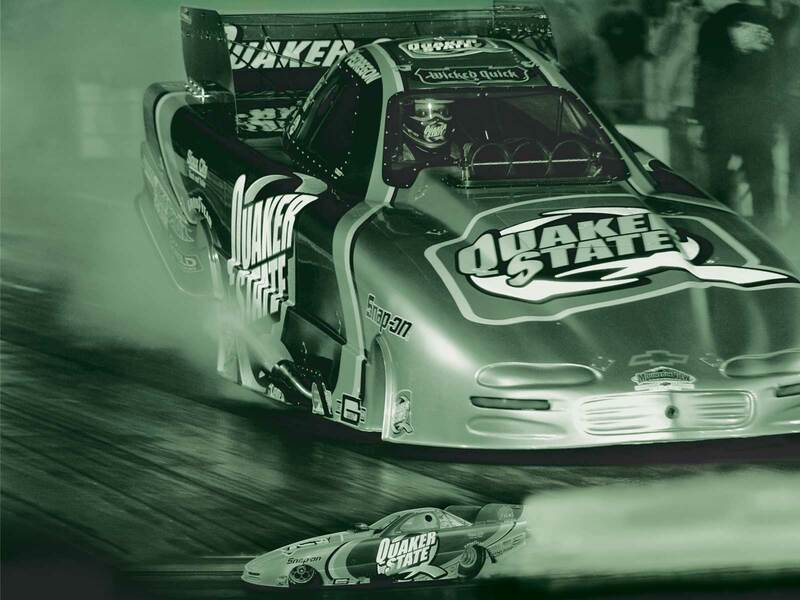 If a company was going to succeed in revitalizing the motor oil industry, they would have to start with a clean slate and forget everything they knew about the business—and with the help of Bill Tucker’s team, Quaker State would be the brand to do it. We started by speaking to consumers and conducting both qualitative and quantitative research, which led us to the creation of consumer segmentation as well as to a new product development platform. Consumer segmentation identified Quaker State's best prospects for long-term growth: the untapped automotive enthusiasts. With unbridled passion for their vehicles and a strong desire to share their knowledge and preferences with others, automotive enthusiasts could become brand champions by not only using Quaker State but recommending it to others. Through ethnography, we watched them shop and use the product to gain insights into their automotive activities and product motivations. That research, along with conversations with “expert consumers,” led us to create a new product development platform for Quaker State. As a result we were able to identify some missing elements. All vehicles are not alike, so why should they believe that the same motor oil would work just as well for a 4x4 as a sedan with 154,000 miles? Enter the first synthetic blend motor oils “formulated for the vehicles you drive, and the way you drive them,” with the promise of reducing friction to meet the auto enthusiast's desire for more horsepower. Once again Bill was looking at an opportunity to step outside the more traditional category of Motor Oil and create something that had no competitors. Not only did the agency come up with product extensions that were compelling reasons to make the switch to Quaker State, but we also developed revolutionary packaging in the form of the patented clear bottle. Quaker State now had a powerful combination: brand advocates with compelling product point-of-difference. And while the competition was out spending money on the same old strategy, Quaker State’s results were overwhelming. The new product strategy combined with the new clear bottles began to quickly change perceptions. In fact, the new packaging was preferred 2:1 over the old opaque green bottles. But the real proof is in the numbers - Quaker State’s total sales rose 38% and their share in the synthetics market rose 26%.